It’s more than obvious that homeschooling is growing in popularity and prevalence across the country. 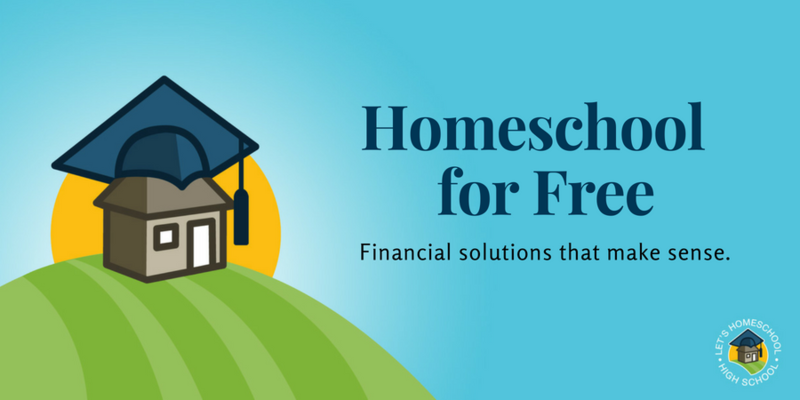 But, for many homeschooling seems daunting due to the cost of providing your student’s education. Well, we are here to tell you – it doesn’t have to cost a dime! Yes, you heard right. We live in an information age, and lucky for the budget conscious homeschooler that information is widely available in many forms. Step 2 Determine how your student learns by talking with them or their previous teachers. Step 3 Plan your Course of study by determining what courses your student needs for graduation. Step 4 Use your student’s style of learning and the courses they need to form a study plan. Step 5 Use free resources to flesh out the needed courses of study. What High School Courses Does my Homeschooler Need to Study? For most homeschoolers, a quick check of their state homeschool laws can let them know what is typically expected. Some states require specific subjects while other states have no requirement at all. If your state has no requirement, then we suggest checking with the college that your student has in mind. Colleges may have preferred courses for their various degree paths. If the student doesn’t plan on attending college, then check out what local highschools require and take a similar assortment of classes. Textbook learning – Visit your local library to check on the assortment of text books that they have available. Your student can use these textbooks to study just as easily as those that purchase them. Most libraries allow you to check out books several times in a row. Textbooks online – Another really brilliant option is to find pdf versions of textbooks online. If your student doesn’t mind reading on their computer or tablet you can simply download the pdf and get studying. If you prefer paper copies, just print and start learning! Many textbooks offer end of chapter quizzes and reviews. We use these as our tests. If you choose, you can take an AP or CLEP test after textbook study as well.